#MoviesMusicPlaysFilmFestivalsConcerts: News: Award-winning "Felix & Meira" opens in Los Angeles on April 24! News: Award-winning "Felix & Meira" opens in Los Angeles on April 24! FÉLIX AND MEIRA is a calling card for its young director, Maxime Giroux; a story of an unconventional romance between two people living vastly different realities mere blocks away from one another. Each lost in their everyday lives, Meira (Hadas Yaron), a Hasidic Jewish wife and mother and Félix (Martin Dubreuil), a Secular loner mourning the recent death of his estranged father, unexpectedly meet in a local bakery in Montreal's Mile End district. What starts as an innocent friendship becomes more serious as the two wayward strangers find comfort in one another. 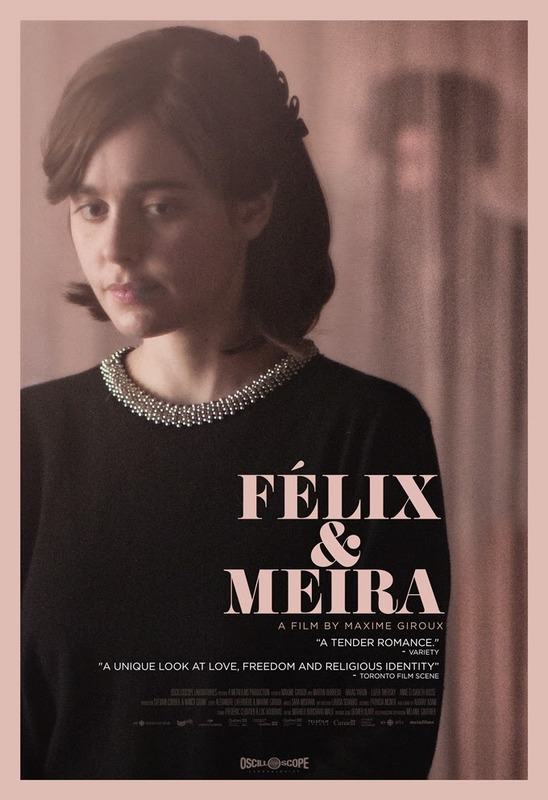 As Felix opens Meira's eyes to the world outside of her tight-knit Orthodox community, her desire for change becomes harder for her to ignore, ultimately forcing her to choose: remain in the life that she knows or give it all up to be with Félix. Giroux's film is a poignant and touching tale of self-discovery set against the backdrops of Montreal, Brooklyn, and Venice, Italy. FÉLIX AND MEIRA is the Winner of Best Canadian Feature at the 2014 Toronto International Film Festival.